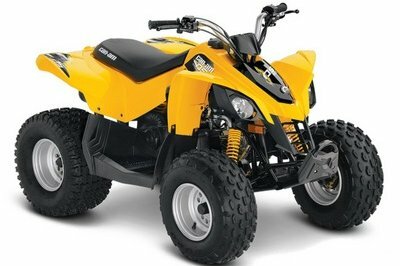 Aimed at the young riders who want to learn the secrets of ATVs, the Can-Am DS is a great learning tool that has all it needs to help you deal great with the tough terrains. 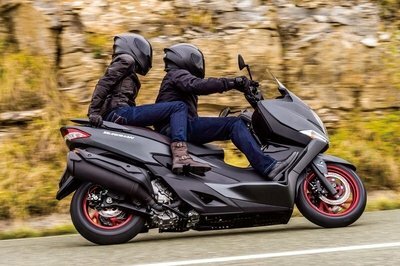 As far as power is concerned, the Can-Am DS is available with two engine options, either a 69 cc or a 89.5 cc single cylinder, air-cooled, SOHC, 2-Valve unit. Both engines are mated to automatic CVT transmissions. 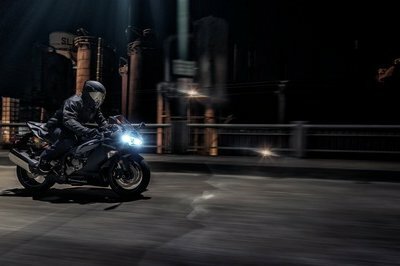 Other features offered by the Can-AM DS include electric start with backup kick-start, full floor boards, day lights and a built-in throttle limiter. 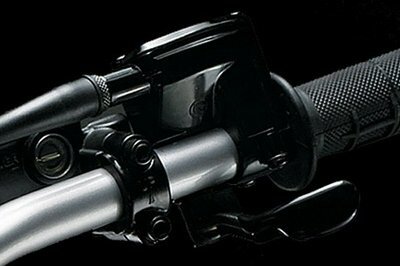 As far as suspensions are concerned, the Can-Am DS is equipped with a front independent A-arm (3.4 In. of wheel travel), and a rear swingarm (6.3 In. of wheel travel). 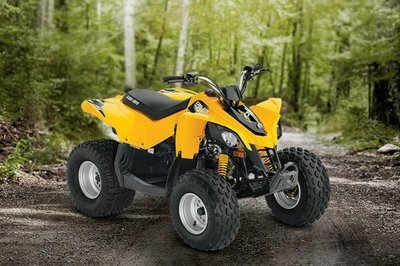 The ATV is offered with a base price of $2,199 (for the 69 cc version). Hit the jump for more information on the Can-Am DS. We take great pride in making sure our young riders have the best vehicles to practice their off-road skills. Complete with neutral and reverse lights and a built-in throttle limiter, young riders get an authentic riding experience and parents have control. Give your children the exhilaration they want with a vehicle they can handle. 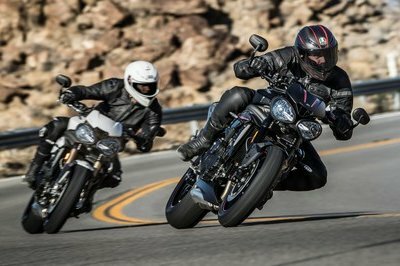 Designed for riders 10 years old and up, the DS provides the perfect platform to build their skills. 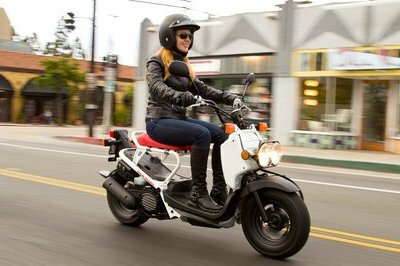 Available in 69 cc or 89.5 cc, the 4-stroke engine is certified CARB “Green Label”. Continuously Variable Transmission means the drive shaft is always in the right gear. And its forward / neutral / reverse capability keeps kids from worrying about shifting gears or getting off the vehicle to go in reverse. Long travel suspension provides a smooth ride and more control through bumpy terrain, making learning to ride easier. A long travel suspension delivers a smooth ride with more control in the bumps. We take great pride in making sure our young riders have what they need to improve their off-roading skills. This ride comes with neutral, reverse, and oil temperature lights and a built-in throttle limiter so parents are in control. Ensures secure footing and protection from debris, bumps, and rocks. 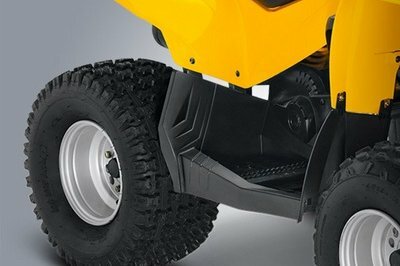 Day lights add the visibility and looks of a full-size ATV. Front storage compartment makes it easy to bring along what you need or take home what you find. Built-in throttle limiter so parents can keep their child’s speed under control.